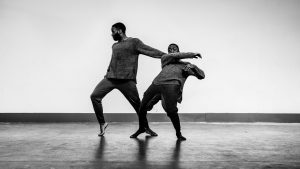 Lanre is a choreographer and movement director based in London, UK. 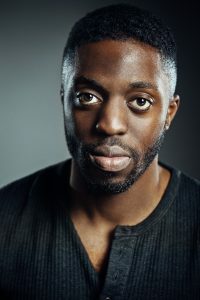 In 2016, he was chosen to be a choreographer on the inaugural OLD VIC 12; a talent group supported by the Old Vic Theatre comprised of the most exciting emerging artists in the UK. He was the choreographer and movement artist on The British Council film ‘DEAR MR. SHAKESPEARE’, which was selected for the SUNDANCE FILM FESTIVAL in 2017. 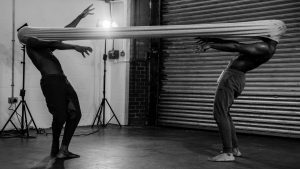 As a choreographer, his work has been supported by Arts Council England, The Michael Grandage Company, The Old Vic, Sadler’s Wells and East London Dance. His work has also been performed internationally in Barcelona (MAC festival) and the USA (Breakin’ Convention 2017 tour). “The initial idea for FIGURE was a mere fraction of the actual outcome. I didn’t have a title or a concrete storyline, all I knew is that I wanted to create a piece exploring anger. Anger is something I have had to learn to understand and deal with growing up as a working-class black man and being brought up in a pretty rough area. I knew I wanted to explore where this anger came from as an abstract piece and what it would be like to completely release it in the most visceral way possible. I started exploring ideas with Nnabiko, a brilliant performer who features in FIGURE, but we kept hitting a brick wall. Something was missing. Yes, the anger I wanted to explore was rooted and present but I knew I wanted to explore where that came from and delve deeper into the psychology behind it. We both realised we wanted to make a film about fatherhood. I remember our first rehearsal vividly. I didn’t want us to dance or develop any ideas that session. Instead, I sat with Nnabiko for a couple of hours and we talked honestly and openly about our fathers. I realised that we both experienced growing up without a stable father figure in our lives. Our circumstances were of course very different, but the emotional outcome was very similar. Feeling of resentment, anger, fear, loneliness, confusion have been all too familiar to us. It was at this point I truly realised that this piece was never meant to be a piece about anger, but really the root of it and the questions and emotions surrounding it. And so we began to work, play and explore ideas from this understanding. This session was the birth of FIGURE. I believe our roots are incredibly important in our understanding of ourselves. The feeling of not knowing who you are – not being grounded in that understanding – is at the heart of FIGURE. Of course, other primary caregivers, very often our mothers, help root us and teach us about our history, but the role of the father must be fully appreciated in its importance. 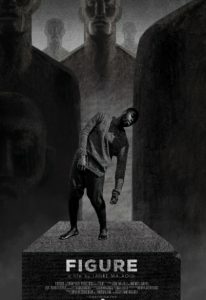 Loss of oneself, through the loss or absence of our fathers and the myriad of emotions that builds up due to this, is a central idea explored in the film. My mother brought me up in Hackney, UK. My father was present sporadically throughout my upbringing. For a long time, I thought I was alone in this experience, but as I grew older and came into contact with other young men in my area, I realised that this experience was a shared one. The impact of these absent fathers, not to mention the burden on the mother, has been well documented. These children are more likely to leave education early, more likely to end up in prison, more likely to become teenage parents. The list goes on. The movement in FIGURE uses an experimental and expressive approach, similar to that of Ryan Heffington who choreographs regularly for renowned music artist Sia. His movement uses human emotion as a foundation to create dynamic and bold choreography charged with truth and his work was key in how I wanted FIGURE to translate to an audience. When watching a film, whether it be a short or feature-length piece, dance or narrative based, I love being able to spot something new upon each viewing. Whether it be uncovering a new emotional layer or filmic detail. I was passionate about FIGURE doing exactly that. I hope to have made a film that upon the second, third and even fourth viewing a new detail emerges for whoever watching it. 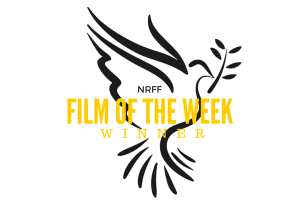 The WINNER of NRFF London’s FILM OF THE WEEK receives a fast-track Official Selection pass for NRFF London 2018. Congratulations to FIGURE. Enter your script or film into NRFF London 2018 today!